One of the hardest working parts of any vehicle is the battery. When the time comes to upgrade to a new one, it's vital that you choose the best car battery you can afford. Not only does the battery start the engine, it also helps to run the many electrical systems in modern cars. You need to be sure that the battery you fit will not only start the car, but will be able to deal with the hundreds of charges and discharges it will go through in it's life time. 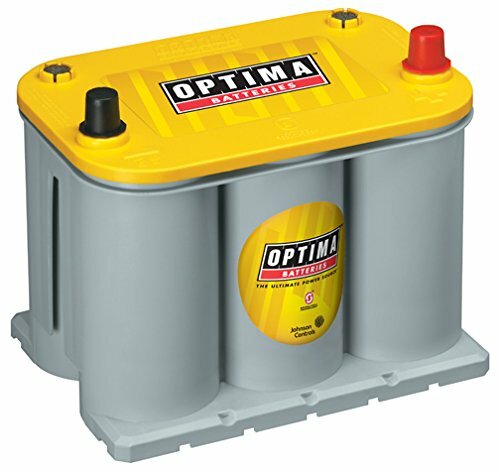 One of the best car batteries you can buy today is the Optima Yellow Top. Check out the full review below and lots of others, along with a full buying guide to help you choose the best battery for your car. This battery from Optima is one of the most durable and powerful starting batteries on the market today. Like many of their batteries, it offers exceptional power and versatility. It can be mounted in any position and has more than 15 times the vibration resistance of typical automotive batteries. This is one of the best car battery models available and works equally well with motorcycles and trucks. This battery delivers 800 cold cranking amps at the standard 12 volts. The Optima RedTop is ideally suited for high-draw starting applications. 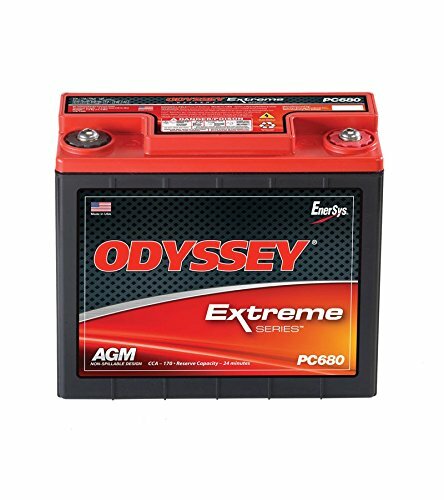 It works fine as a general car battery but is more suited towards large peak starting draw such as in larger cars and trucks, off-road vehicles, hot rods, and similar. The cost of the Optima RedTop is near the higher end of the spectrum of batteries on our list. This is largely due to the SpiralCell technology used in their manufacture, which is much more complex (though delivers much greater power and resistance to vibration) than typical flat plate batteries. If you need a large burst of starter power, this is an ideal battery for you. It might be overkill for ordinary consumer sedans or vehicles. 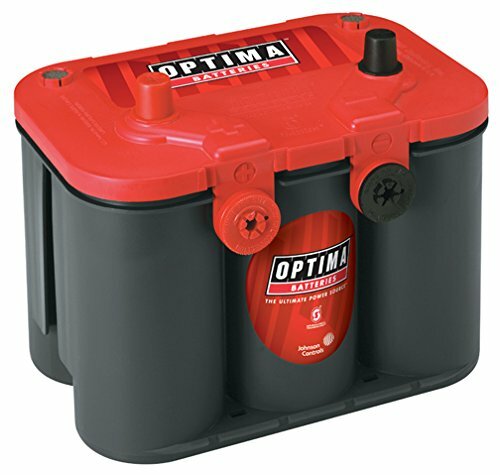 ​Like its RedTop brethren, the Optima YellowTop has a unique SpiralCell design of the battery power cells, offering tremendous durability compared to typical automotive batteries. Also, like the RedTop, it can be mounted in any position and features 15 times greater the vibration resistance than typical automotive batteries. It is also more general purpose than the RedTop, which is suited more for high-demand starting applications, whereas the YellowTop is much more focused on providing high power output for accessory-loaded vehicles, with deep discharge and recharge capability. This battery delivers 620 cold cranking amps at the standard 12 volts. The Optima YellowTop is an excellent all-around automotive battery, particularly for high electricity demand vehicles. It also works great for tractors, forklifts, and other similar applications, owing to its fast charging, good reserve capacity, and deep-cycling nature. While the YellowTop is the most expensive battery on our list, it is also no doubt one of the best car battery options on our list. It delivers a very high cold cranking amperage (around 75% of the RedTop) while having a much greater capability in deep-cycle discharging, resulting in a 3x longer average life than other typical car batteries. It has all the other innovations from Optima, including their SpiralCell design, which makes it reliable, safe, durable, versatile, and well worth the cost. The Odyssey PC680 is a mid-range battery on our list, offering a good balance of power and longevity against price. It features excellent cycle life as well as fast recharging in comparison to other batteries. Additionally, it fits most vehicles, with a much more compact design than the Optima family of batteries, while still being non-spillable and offering flexibility in mounting options. It’s also, of course, much less expensive than top-end batteries. This battery delivers 170 cold cranking amps at the standard 12 volts. The Odyssey PC680 is well-suited for most consumer vehicle uses. It may not deliver the large starting power needed for trucks or similar, with only 170 cold cranking amps, but offers excellent long-duration storage life, quick recharging, and flexibility in mounting and use. This battery falls in the middle of the range in terms of cost but provides good value for the money. It is not nearly as powerful as the Optima series of batteries, but is not nearly as expensive, either. 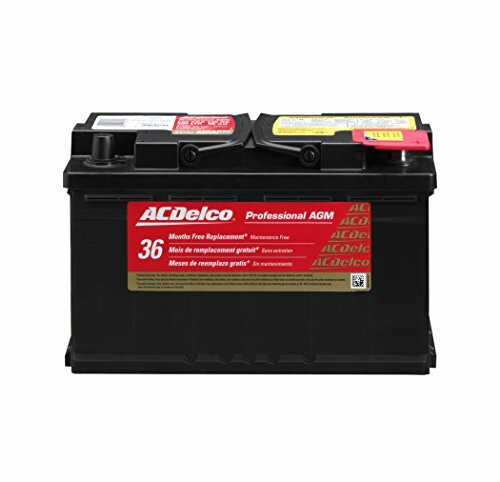 ACDelco is one of the best-known brands of automotive batteries on the market. This high-end option, the 94RAGM Professional, is one of their top-of-the-line entries. It features a very large reserve capacity, top cold cranking amperage (on par with the Optima RedTop), a great cycle life, and generous warranty, all at a much lower cost than similar entries on our list, making this one of the best car battery options available. What’s more, it’s from a trusted auto battery brand that’s been around for decades. This is a high-durability and long-lasting battery designed for most typical automotive applications. The large reserve capacity and extensive discharge/recharge cycle rating means it should serve most auto owners well regardless of whether or vehicle storage conditions. In terms of cost and value, this battery offers more than most on our list, at a relatively low cost for a high-end battery. Compared to the Optima line, for example, it costs notably less, while being superior on spec. At the same time, it may be overkill and more expensive than average car owners need for average applications. ​This entry from Kinetik is the least expensive battery on our list. While it works well as a general purpose car battery, it truly shines as an extra battery for on-board after-market stereo equipment. In fact, it’s well-known for its use in some of the record holders for loudest vehicle sound systems on the planet. Despite a small footprint, it offers tremendous power output. Our biggest complaint is a lack of some of the technical data we’ve come to expect from battery manufacturers, which makes true comparisons to other, more expensive batteries a bit difficult. This battery delivers 600 cold cranking amps at the standard 12 volts. Works as a traditional car battery with sufficient amperage for most all consumer auto needs, but really shines as an extra battery to power after-market sound systems up to 600W. This is the least expensive battery on our list, and though considered entry-level, it offers a number of compelling aspects. At the same time, for traditional automotive battery purposes, the limited warranty and dearth of technical data mean consumers might want to spend a bit more on a different brand or model. At the same time, for auto audio options, this battery is hard to beat. If you have never bought a new car battery before, then it can get confusing pretty quickly. Sure, you can let someone else do it. But if you are DIY savvy and like a bargain, then it's worth doing your own research and fitting the replacement battery yourself. The amount of power that the battery can provide when you turn the key in the ignition is measured in Cold Cranking Amps (CCA). This must be high enough to start the engine and will depend on the engine size and if it's petrol or diesel powered. This number is often confused with Cranking Amps, but they are not the same thing. Cranking Amps (CA) are measured at 32 degrees Fahrenheit, whereas CCA are measured at 0 degrees. Another important number is the Reserve Capacity (RC). This is how long the battery can keep providing power before it's recharged (usually by the alternator). It's worth considering where the battery is going to be positioned to make sure it fits. This seems obvious, but it's worth double checking dimensions, because in modern cars batteries can be squeezed into tight spaces and even a small change in height or width can make all the difference. If you plan on upgrading the battery with a more powerful one, make sure to double check the weight. Some high performance batteries can weigh over 50lbs. Whilst most people will simply be replacing a factory fitted battery with an equivalent, it's worth taking into account any aftermarket devices you may have fitted to your car. Upgraded sound systems with amplifiers and subwoofers can put a drain on a car battery and decrease it's life considerably. Other portable devices such as mini coolers, heaters, tire inflators, and multimedia devices can also require more power. 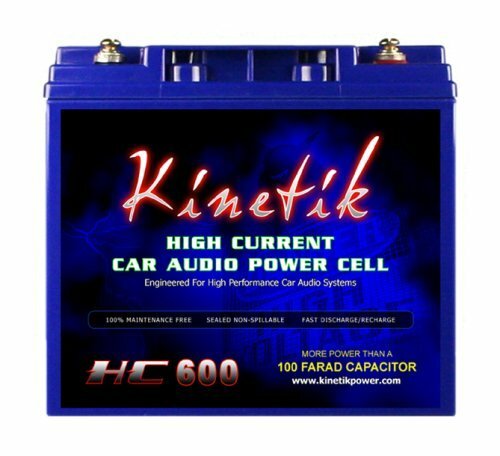 In some cases a second battery such as the Kinetic HC600 can be a great idea to guarantee extra power is always at hand. Most high quality batteries are maintenance free. This means they are sealed and never require a top up. In my opinion you should only ever fit a maintenance free battery. They are safer (no leaks) and allow to fit and forget. A good warranty is also something worth looking for. Most manufacturers will claim that their battery will last a certain number of charge/recharge cycles, or can hold a charge for a certain length of time. It's important to choose a battery with a good replacement warranty that backs up these claims. Generally speaking, you should look for a 24-36 month no questions asked warranty. There are many reasons why a car battery can go flat or can fail to hold it's charge. Sometimes it's a fault with the electrical system or the battery is just at the end of it's life and can no longer hold a charge. Here are a few things to check before you buy a new battery. 1. 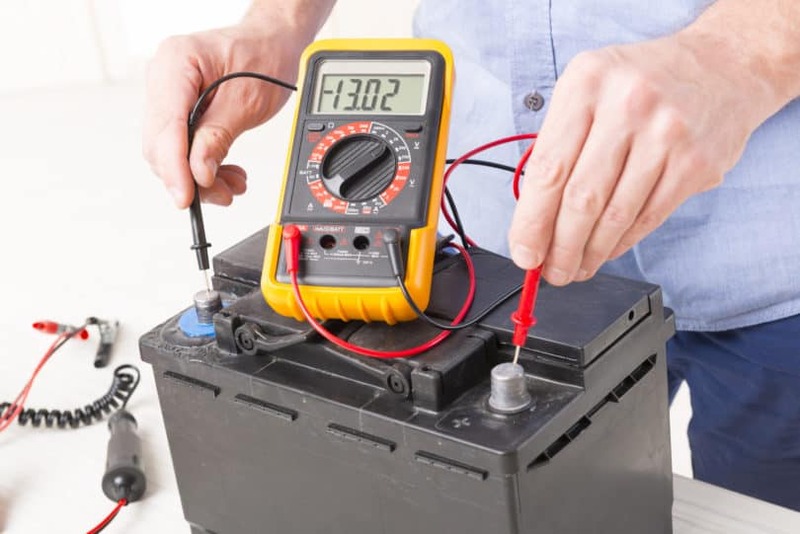 Battery Condition - The battery can be easily checked using a basic multimeter. 2. Check The battery connections - Over time, battery terminals and connectors can become corroded and loose. Make sure the connectors are clean and tight before you write off the battery. 3. Faulty Alternator - If the alternator isn't re-charging the battery properly then you'll be left with a flat battery. Again this can easily be checked with a multimeter or some jump starters will give a voltage readout too. 4. Old or Damaged Drive Belt - An old or worn serpentine belt can affect the performance of the alternator. Visually check the condition and change them if they are worn. 5. Aftermarket Device Causing A Drain - If you've fitted a device like an external amplifier or aftermarket handsfree kit, then this could be causing an excessive drain on the battery. Double check the wiring make sure all new connections are correct. Changing a car battery is usually a straightforward DIY job that can be completed in a few minutes with the right preparation. There are however a few things you should keep in mind before you start. Before you buy a new battery you should check out your vehicle's user manual for any battery related information you can find. If you car is older (more than 10 years old) it will probably be less complicated as older battery charging systems were more straight forward. Newer cars tend to have more electrical systems that rely on the battery. Today, battery charging systems are also more complicated and often have engine start/stop systems and brake regeneration systems built in. So you will need to be more careful when choosing and swapping out the new battery. In some cases, you will need to hook up a portable power supply to the car before you disconnect the battery so you don't lose important settings from the ECU and entertainment systems. You should also keep in mind that some car manufacturers require that the car battery is 'coded' to the car's ECU. This may have to be carried out in a dealership, although some OBD2 scanners will also be able to do it. Before you start, disconnect all peripheral devices such as chargers and portable devices from 12V sockets. If necessary, hook up a portable power supply (or trickle charger) to the car. Locate the battery and remove any covers or plastic trim that will impede the battery removal. Start by disconnecting the negative clamp (usually the black or brown cable) from the battery. Be careful not to touch both the positive and negative terminals at the same time with your hands or with a wrench as this can cause a short and could damage the vehicle electrics. Now disconnect the positive terminal clamp from the battery. If there is a mounting bracket or clamp holding the battery in place, now is the time to remove it. Now that the battery is free, lift it out of it's position, taking care as some batteries can be heavy. Installation of the new battery is just the reversal of removal. Once installed, double check that all terminals and mounting brackets are tightened fully. Disconnect the portable power supply if connected and refit the battery cover. Be sure to check the new battery with a multimeter with the car engine off and running, to make sure the battery is working properly. What Are The Symptoms Of Bad Spark Plugs? How Long Does An Oil Change Take? 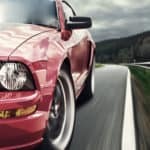 TheMotorGuy.com is a participant in the Amazon Services LLC Associates Program, an affiliate advertising program designed to provide a means for sites to earn advertising fees by advertising and linking to Amazon.com. Product prices and availability are accurate as of the date/time indicated and are subject to change. Any price and availability information displayed on Amazon.com or other relevant Amazon Site(s), as applicable at the time of purchase will apply to the purchase of this product.